The National Geographic Society (NGS), headquartered in Washington, D.C. in the United States, is one of the largest non-profit scientific and educational institutions in the world. Its interests include geography, archaeology and natural science, the promotion of environmental and historical conservation, and the study of world culture and history. 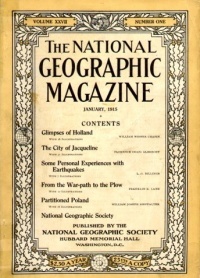 The National Geographic Society’s characteristic logo is a yellow portrait rectangular frame, which identifiably appears on the margins surrounding the front covers of their magazines. NOTE: CosmoLearning is not affiliated or endorsed by National Geographic Society. This page is only intended to credit this content provider for their educational content being included on the CosmoLearning site.